Your wedding day is naturally one of the best days of your life. It consists of all of the little (and big) things that represent you as a couple, a day for all of your friends and loved ones to enjoy and one that you’ll remember forever. There are so many aspects that you need to focus on in order to bring it all together though, which is why this can be such a stressful period for brides too. Chances are you and your fiancé haven’t planned a wedding before. Even if you have, there are always new and exciting trends, venues, and vendors popping up so it’s never the same. Some brides feel that they can plan their own weddings because they’ve helped a sister or best friend plan theirs but planning your own wedding is completely different. A professional wedding planner is the best person to guide you through this intricate process. 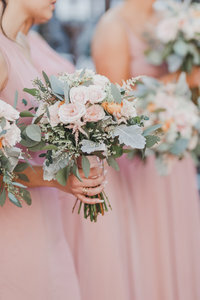 Planning a wedding is harder than it looks and if you’re already losing sleep over your massive to-do list, hiring a wedding planner can really make the entire process much more manageable and enjoyable for you. 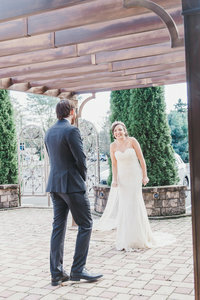 You should be excited about your big day, not stressed and tearful! 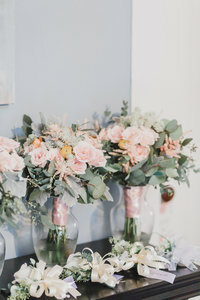 If you’re in the process of putting a budget together and would like some more guidance on what to expect based on your unique preferences, a wedding planner can be your guide. A professional wedding planner can offer you great insights on industry norms and trends and what you can expect. They can also really help you stick to your budget. A wedding planner can help you get the ball rolling so that you can start making all the important decisions. They’ll help bring your vision together and put you in touch with vendors and suppliers who can help bring your day to life.